1. Go to the Top Left of the Dashboard and click on the My Profile Icon. 2. 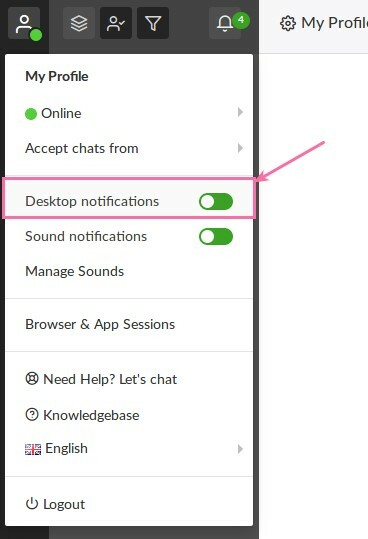 Switch Desktop Notifications On or Off.